8 · The Fort Terror Murders [Capt. 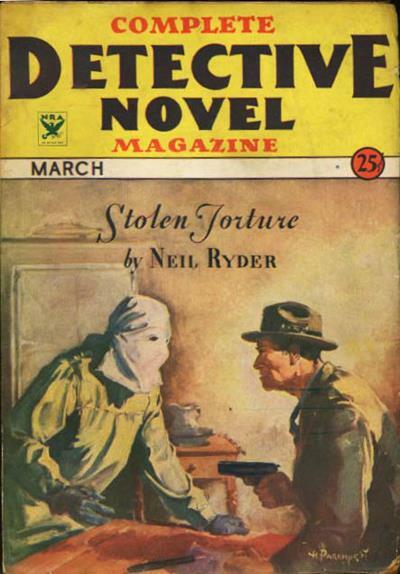 (Col.) Hugh North] · F. V. W. Mason · n.
8 · The Whispering Ghost · Stephen Chambers · n.
8 · Murder at the Red River Inn · Daniel G. Mainwaring · n.
6 · The Kidnap Club [Craig Kennedy] · Arthur B. Reeve · n.
8 · Murder at Pelham · Richard Tasker Wells · n.
6 · The Trail of the Crooked Toe · Nelson Robins · n.
6 · Terror in the Night · Richard Tasker Wells · n.
8 · Deaths Hand · R. G. Dixon · n.
6 · Murder in Green [Craig Kennedy] · Arthur B. Reeve · n.
99 · Cop Killer · James Leveque · ss; possibly non-fiction. 115 · Voices of the Dead · Norman Daniels · ss; possibly non-fiction. 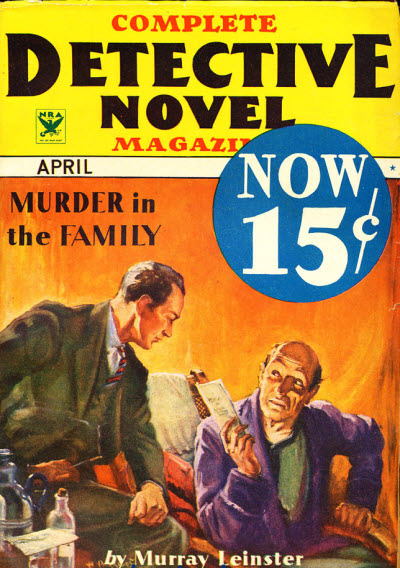 130 · The Mr. X Murder · Charles Fessier · ss; possibly non-fiction. 137 · Time to Burn · Harry Adler · ss; possibly non-fiction. 6 · The Only Clue · Carolyn Wells · n.
Details taken from rebinding in Kellys Magazine. The Branded Spy Murders [Capt. (Col.) Hugh North] · F. V. Mason · n.
Murder at Mills House · Edgar Forest Wolfe · ss; possibly an unfinished story set as a competition. 6 · The Red Ember · Roy Vickers · n.
6 · The Murder Charm · Maxwell Hawkins · n.
132 · Murder at Mills House · Anon. · ss; contest story. 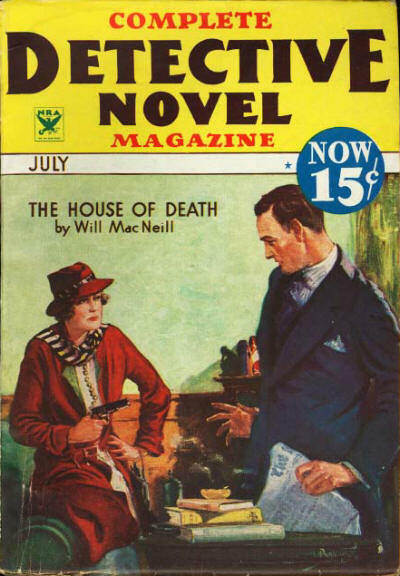 9 · Death Plays Bridge · K. S. Daiger · n.
Murder on Top · Tom Curry · n.
8 · Tragedy at Pleasant Valley · Beulah Poynter · n.
Death Walks on Broadway · Tip Bliss · n.
The Shanghai Bund Murders [Capt. (Col.) Hugh North] · F. V. W. Mason · n.
6 · The Movie House Murders · Allen Saunders · n.
6 · The Electric War [Craig Kennedy] · Arthur B. Reeve · n.
6 · The Murder of the Art Student · W. Horne · n.
6 · Kings Die Hard [Anatole Flique] · Charles G. Booth · n.
6 · Mysterious Malady · Al P. Nelson · n.
85 · While Everyone Slept · Walter Roeber Schmidt · ss; given as by Walter Roeber Schmitdt in the Table of Contents. 6 · Dead Strangers · R. C. Pitzer · n.
132 · One-Way Ride · William Chamberlain · ss; possibly non-fiction. 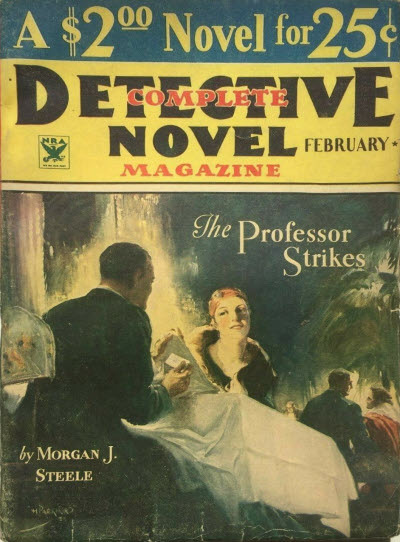 8 · The Professor Strikes · Morgan J. Steele · n.
9 · Stolen Torture · Neil Ryder · n.
6 · Murder in the Family · Murray Leinster · n.
111 · Montellos Mistake · Harry Dodsworth · ss; possibly non-fiction. 116 · A Lie That Revealed Truth · J. Rae Tooke · ss; possibly non-fiction. 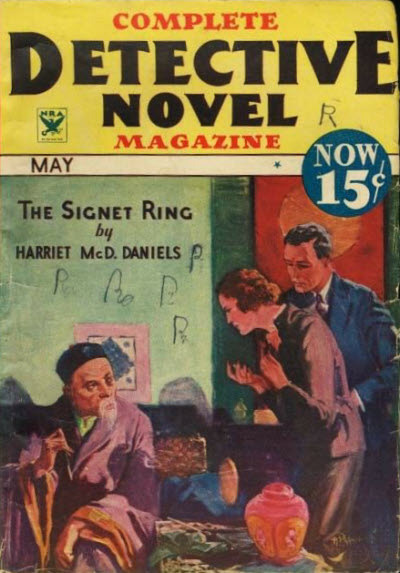 6 · The Signet Ring · Harriet McDoual Daniels · n.
100 · Curtain Call · James Bennett Wooding · ss; possibly non-fiction. 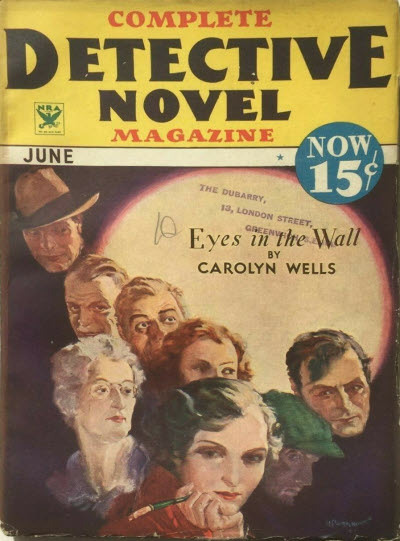 6 · Eyes in the Wall · Carolyn Wells · n.
4 · The House of Death · Will D. MacNeill · n.
101 · Burnt · Joe W. Skidmore · ss; possibly non-fiction.